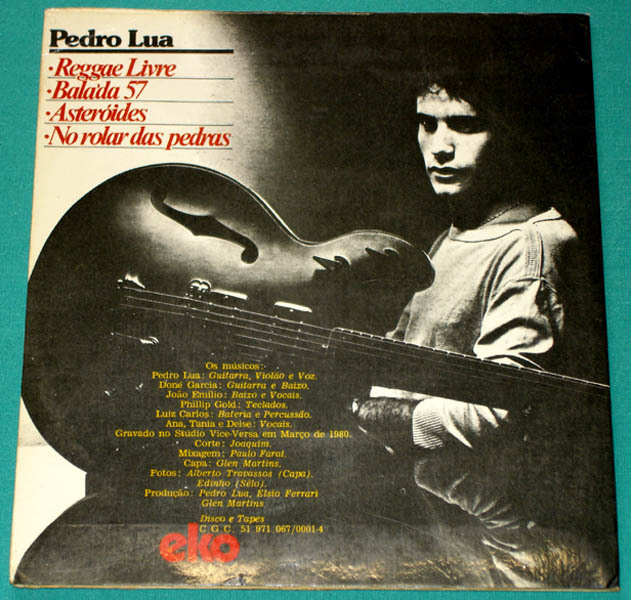 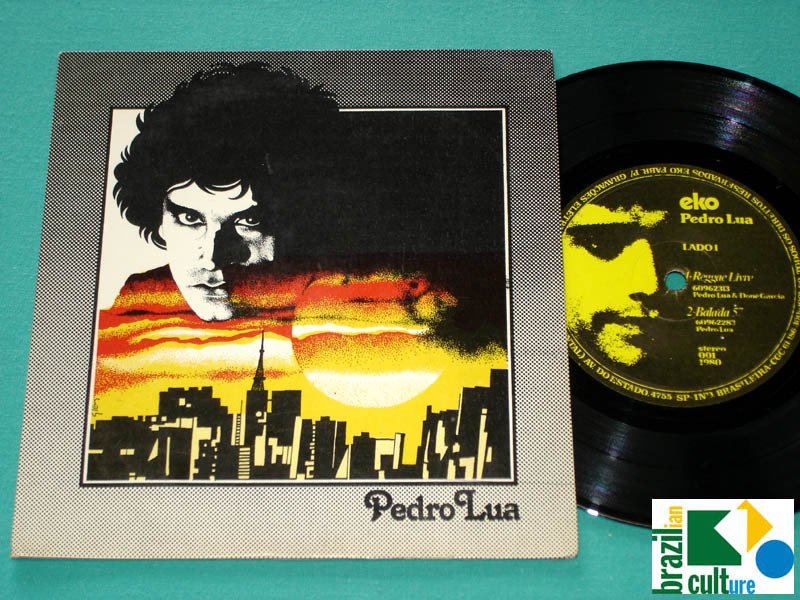 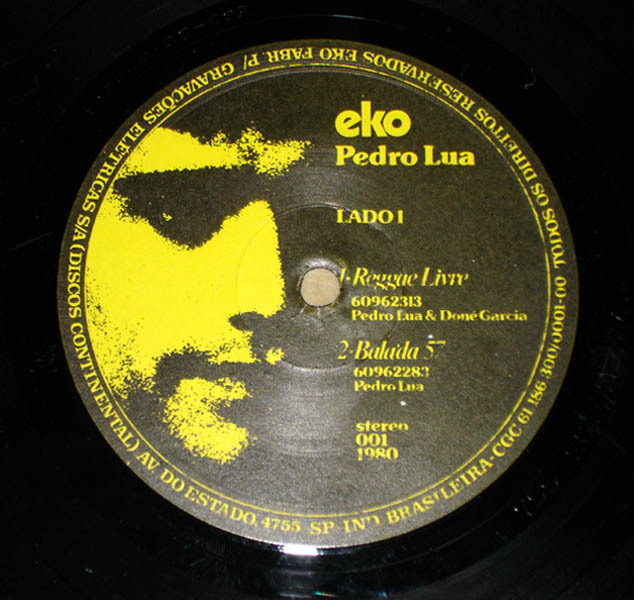 PEDRO LUA - "REGGAE LIVRE - BALADA 57 \ ASTERÓIDES - NO ROLAR DAS PEDRAS" - An independent EP by this unfairly obscure, unknown & Great Folk Psychedelic Songwritter, Guitar Player and Singer. 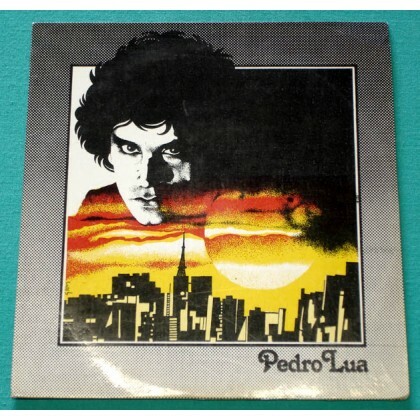 The side 1 Label is PERFECT! 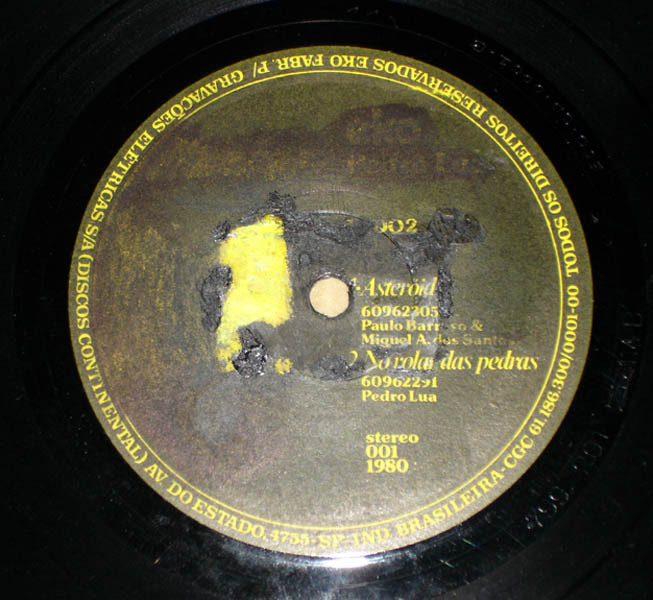 But the side 2 label has been damaged by some not careful attempt of remove a sticker. Listen to the MP3 audio clips available!